I’ve pitched, researched, interviewed subjects, and written a number of articles for publications such as Vulture, Paste Magazine, and The Laugh Button. While season 3 of You're the Worst ran on FXX, I had the pleasure of discussing the fourth episode with creator Stephen Falk over the phone. We talked about death, relationships, and how to create the right tone for the show. I then transcribed and condensed the interview to run on Vulture. 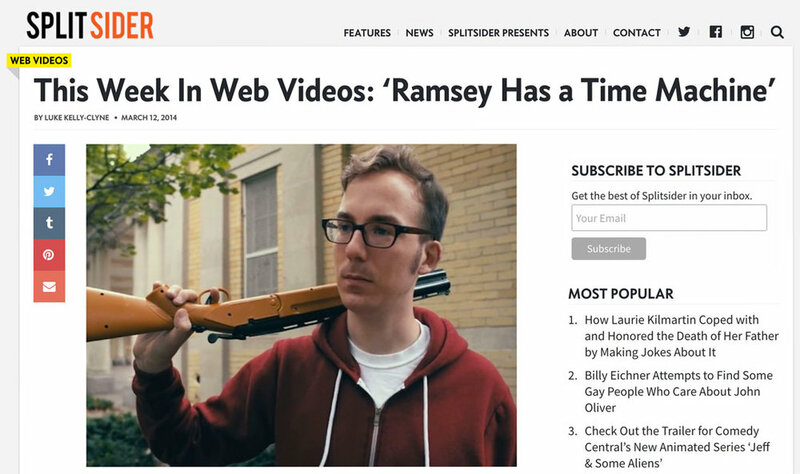 Before that, two web series that I directed were featured on Vulture. Chris & Sami Present How to Live Together, a series I created with the help of Sam Reece, was called "original in its unabashed realness." Ramsey Has a Time Machine, created by my childhood friend Ramsey Ess, was characterized as "fantastic with its experimentation and snappy writing." 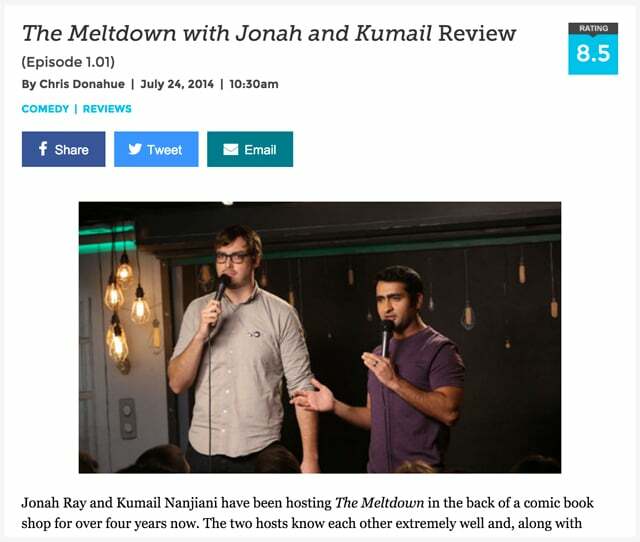 I have also written a number of pieces for Paste Magazine and The Laugh Button, including reviews of television shows and comedy specials. On top of that, I wrote an oral history for the comedy issue about the long-running sketch group and my friends, Murderfist. I interviewed individual members of the group and then put together their story piece-by-piece. It was shared by a number of people within the community, including comedian Chris Gethard, member Henry Zebrowski, and many others.